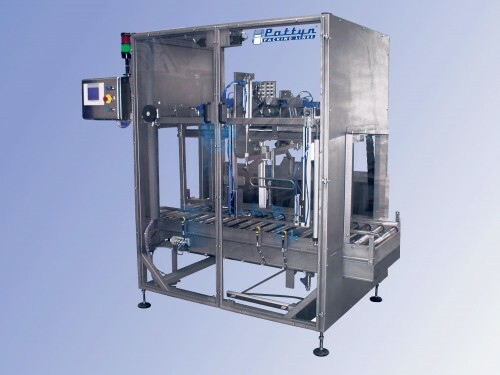 Automatic Bag decuffer and folder for semi-liquid products. The Machines are also available with the capability of heat sealing the bag prior to closing the case. When a filled box enters the machine, the DF-11 automatically decuffs, re-gussets and closes the bag by folding. This poly bag folding machine is used for semi-liquid products, and in many other different industries.